Dr Catherine Llewellyn is an experienced Child, Adolescent, Addiction & Accredited Consultation Liaison Psychiatrist, as well as a Board Certified Lifestyle Medicine Physician. Catherine is a fellow of the Royal Australian and New Zealand College of Psychiatrists (RANZCP), Clinical Director at Brisbane Specialist Suites and was the first Psychiatry trainee in Australia and New Zealand to complete Advanced Training in both Child and Adolescent Psychiatry and Addiction Psychiatry. Dr Llewellyn is one of only two Psychiatrists in Australia who is a board certified physician of Lifestyle Medicine. During her career, Catherine has been the recipient of numerous meritorious awards including the RANZCP Addiction Psychiatry Prize in 2012. As a medical doctor who has completed specialist training in psychological and medical aspects of mental health, Catherine is committed to providing sensitive and appropriate evidence-based treatment to children and adolescents. Although Catherine enjoys working to support all areas of mental wellbeing, due to her skills in both medical assessment and psychological treatment Catherine has particular expertise in the treatment of paediatric developmental disorders (Aspergers, Autism Spectrum Disorder, Attention Deficit Hyperactivity Disorder or ADHD), eating disorders and women’s mental health issues. Catherine is also a board certified physician of Lifestyle Medicine and is passionate about your overall health as an individual. Qualifications: BA.,Hons (1st, Cambridge), M.B., B.Chir., (Distinctions, Cambridge), MA., (Cambridge), A.M.C., F.R.A.N.Z.C.P., Cert. Child Adol. Psych. (R.A.N.Z.C.P), Cert. Addiction Psych. (R.A.N.Z.C.P)., Acc. Consultation Liaison Psych., Certified Physician (I.B.L.M). Dr Catherine Llewellyn was a Choral Scholar at St Catharine’s College, University of Cambridge (UK). During her time at the University of Cambridge she completed a BA Hons (Part II Pharmacology) with first class honours, and was awarded the John Addenbrooke Medical Studies Prize 2000, The Moses Hollway Scholarship 2000, and the Astra Zeneca Prize for Pharmacology 2000. Dr Catherine Llewellyn was subsequently employed as a supervisor for Part IB Pharmacology undergraduates at the University of Cambridge. Dr Catherine Llewellyn completed her medical degree at the University of Cambridge in 2003, achieving Distinctions in both Medical and Surgical final examinations. She was awarded the John Addenbrooke Medical Studies prize for the second time in 2003. Dr Llewellyn migrated to Australia in 2004 and worked as a Registrar in Adult and Paediatric Emergency Medicine, General Medicine and Intensive Care for a number of years before deciding upon a career in Psychiatry. Dr Llewellyn completed psychiatric training in Australia and was the first Psychiatry trainee in Australia and New Zealand to complete Advanced Training in both Child and Adolescent Psychiatry and Addiction Psychiatry. Dr Catherine Llewellyn was awarded the RANZCP Addiction Psychiatry Prize in 2012. In light of her broad range of experience, training and interests, Dr Llewellyn feels strongly about providing quality care to children with Developmental Disorders (including Aspergers, Autism Spectrum Disorders, and Attention Deficit Hyperactivity Disorder). Unlike a Paediatrician, Dr Llewellyn has skills in both medical management and behavioural or psychological interventions. Catherine is very happy to see your child or teenager for a comprehensive one off assessment and GP management plan (Medicare Item 291), or for the purposes of Education Queensland Verification, or to provide ongoing care. In addition, Dr Llewellyn is passionate about supporting children, teenagers and adults struggling with eating disorders (including problem dieting, orthorexia, anorexia, binge eating, bulimia nervosa, and other types of disordered eating). Eating disorders can be associated with a range of serious medical complications which are often under-recognised and misunderstood. 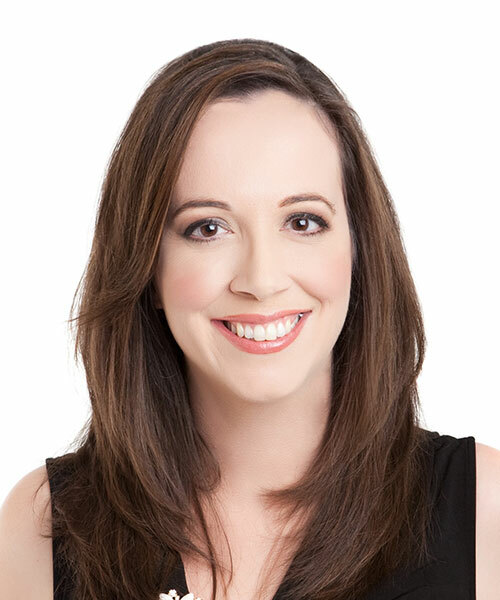 Due to her strong medical background and being a Lifestyle Medicine Physician, Dr Llewellyn understands and is able to manage both the psychiatric as well as the medical aspects of eating disorder treatment. Organising Committee Member for The Royal Australian and New Zealand College of Psychiatrists College Congress 2015. Due to a high demand for Dr Llewellyn’s specialist skills in Child Psychiatry, there is currently a waiting list. Dr Llewellyn understands how important it is that you or your children receive timely care and treatment. Please be sure to provide a detailed referral from your doctor so that your appointment can be prioritised appropriately. If you would like to be placed on our cancellation list, please inform the secretarial staff at the time of booking your appointment.